Welcome to Ealing's new idea hub! Passionate about Ealing? Want to transform it with inspiring projects? Looking for a way to bring your ideas to life, discuss innovative new initiatives with like minded people and seek out collaborators and partners? 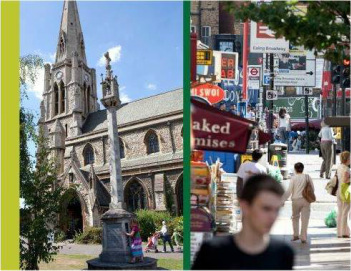 What do you want for Ealing? Passionate about Ealing? Want to transform it with inspiring projects? Looking for a way to bring your ideas to life, discuss innovative new initiatives with like minded people and seek out collaborators and partners? This is for you. CENF is a new organisation bringing together community groups, businesses and key stakeholders to deliver projects that will make Ealing a vital, thriving and sustainable town centre. 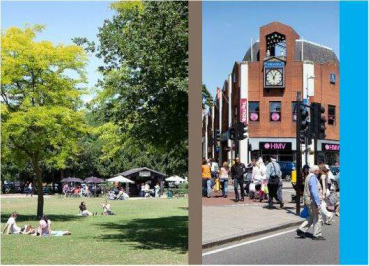 There’s so much going on in Ealing, with new plans for a cinema, new owners at 1-8 The Broadway (previously the Arcadia Centre) and at the Ealing Broadway Shopping Centre and a little thing called Crossrail on the horizon. It’s really important that we, the community, work together to shape these developments. It’s not just about plans. We want things to happen now. We’ve partnered with Spacehive to fund your ideas, as well as adding them into our Plan. You got a great idea that you’d like to get off the ground?Add an idea here and we'll feature it. Find an idea you love? Donate through Spacehive, like it on Facebook or Twitter @EalingForum to show your support.